Baytec Containers Blog: Baytec Containers' Overstock Items: Grab Now and Save Money! Baytec Containers' Overstock Items: Grab Now and Save Money! Every day is a good day to save your money. Earn honestly, spend wisely. That is what we have always been doing and we love to share with you. Check out our OVERSTOCK items and get even cheaper prices than our normal already-cheaper prices. Interested in buying in bulk? Our pallet of 120 pails could be interesting for you. Each 5 gallon bucket will only cost $2.95! 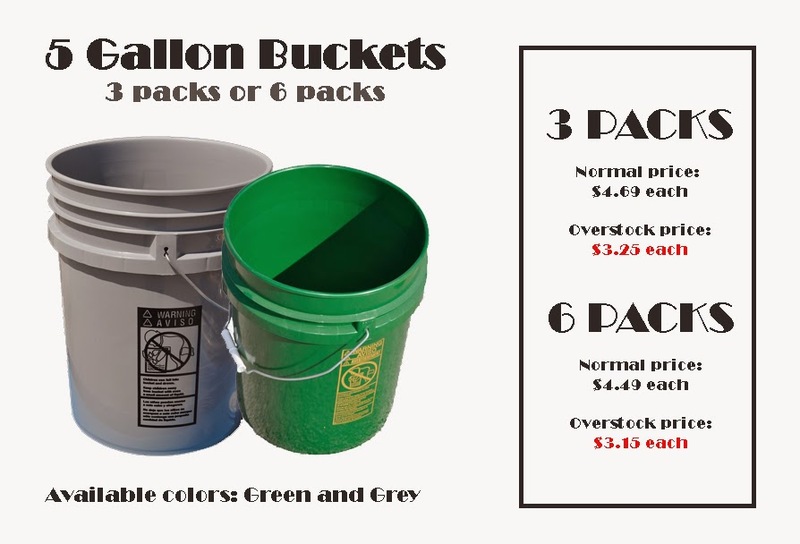 Check out our pallet overstock of green 5 gallon plastic buckets and click HERE for the gray ones.